My Dictator captures the life of a man who lived as a stand-in for KIM Il-sung. It’s an unusual story but many audiences claimed to have felt relatable and some admitted to becoming emotional. Director LEE Hae-jun said that the reason for such responses is because, “it’s the story of all of our fathers”. I heard that PARK Hae-il was cast for this film 3 years ago. That’s even before the scenario came out. How is that possible? I told him that I want to tell a story about a father and son, and PARK said “I’ll do it.” Then he asked me, “will I play the father?” and I told him he would be better fit as the son. It was over some casual drinks but he didn’t forget. After that evening, we talked about our fathers every now and then. When I was writing the scenario I thought about PARK while thinking about the son, ‘Tae-sik’. ‘Sung-keun’, the father character SEOL Kyung-gu played, is not an average father. How did you come up with his characterization? A no-name actor who lived his life as a stand-in for KIM Il-sung? I was researching online and saw an article about the rehearsal for the president in preparation of the North and South Korean summit. And within it, there was a NIS affiliate stand-in for KIM Il-sung. Then I wondered, what kind of person took such a role and how much loneliness would that person have had to face? Then I suddenly remembered a picture I saw a few years ago. It was my father when he was young. He looked completely different from the person I knew. And as if led by destiny, I felt that fathers are lonely beings. My Dictator is also about the lonely father. SEOL plays Sung-keun from his younger years to senior, about 22 years in duration. Were there any difficulties with the special make-up? I never wanted to cast separate actors for the young and the old Sung-keun. In order to express the life of an individual linearly, I believed that a single actor should cover both. My Dictator would have been very awkward without the right make-up. 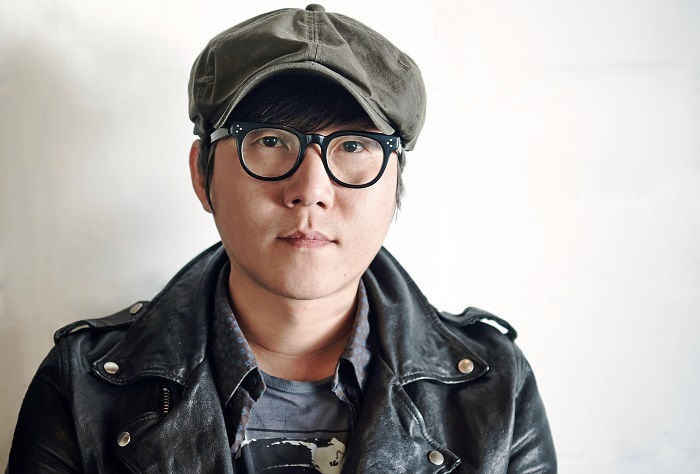 Make-up director SONG Jong-hee was one of the first to have read the scenario. 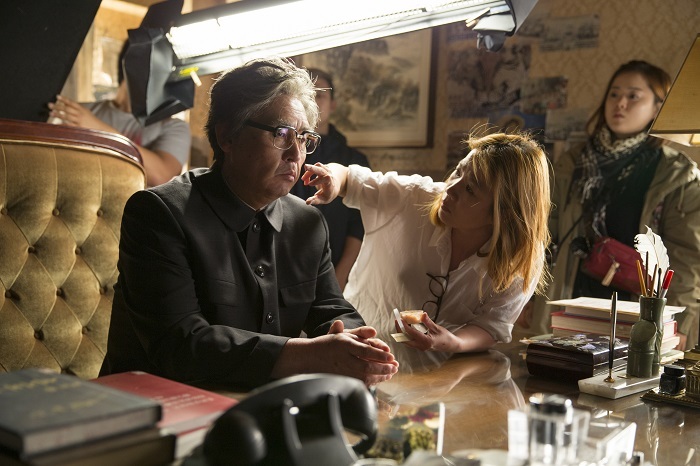 She worked on Eungyo (2012) and had worked on PARK Hae-il’s aged make-up in that film. She created another masterpiece with her make-up on SEOL through My Dictator. If we had hired a non-Korean make-up artist, it would’ve been hard to bring out the Korean face. Why did you cast SEOL for the role of Sung-keun? I needed someone that had the capacity and energy to produce the development of the reenactment of KIM Il-sung from his youth to senior years. Whenever I get this question it’s hard to answer, but SEOL was perfect for it. When he accepted my offer, we shook hands and I noticed that his hands were huge. I felt like that it would be similar to my father’s hand. And as I was studying the hand gestures of KIM Il-sung, I also noticed that SEOL had a lot of hand gestures too, which I thought was a good match. What is the most important scene in the film? I wanted to show the clash between the 1970s Korea and the 1990s Korea through My Dictator. Sung-keun who believes he is the real KIM Il-sung is lost in a fantasy. The house that gets torn down represents North Korea, the country in paranoia. I wanted to show that unfortunate state through Sung-keun’s tattered house. Your debut film, Like a Virgin (2006) pushed away the patriarchal father as the son found his own identity. But My Dictator has the son taking the hands of the father. Does this mean your view towards the father has changed? I think so. It could also be because I’ve become older. I became curious what kind of period and life my father lived through and wanted to understand him. I hope My Dictator will make the audiences want to get back in touch with their fathers.